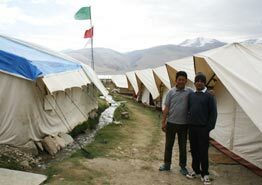 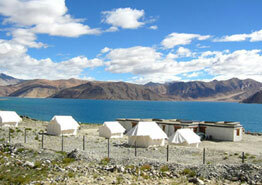 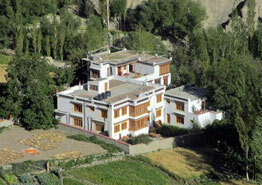 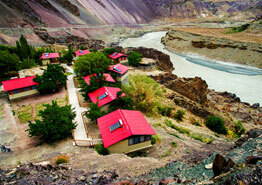 Silk Route Cottages, located in Sumur, a village in the Nubra Valley, towards the north of Leh over Khardung La. 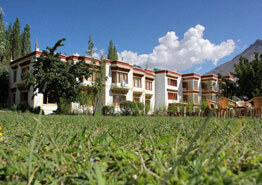 It is a spacious hotel surrounded with lush green gardens. 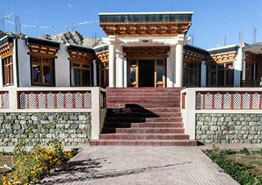 The hotel boasts of offering excellent services to its guests. 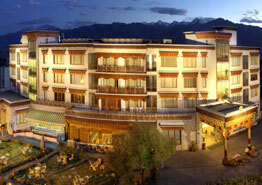 The rooms are very spacious and are well-appointed with all the necessary modern-day services and amenities. 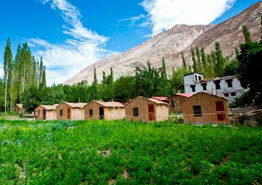 The food which is served is prepared from vegetables grown in organic gardens. 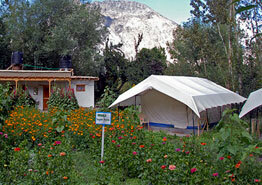 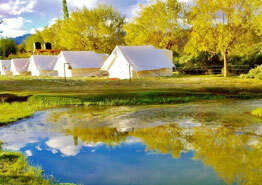 The Silk Route Cottage has a total of 14 bamboo cottages and 5 spacious tents. 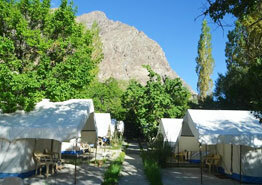 Guests can avail all kinds of facilities such as private bathrooms with hot and cold running, telephone, post paid BSNL mobile, TV with multi-channel connection, round the clock room service and so on. 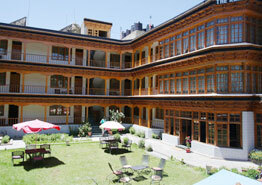 The rooms are huge, offering you a comfortable stay. 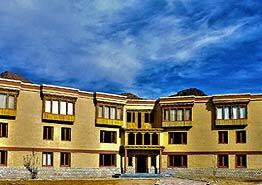 The hotel has an open air restaurant serving sumptuous delicacies of Indian, Tibetan, Continental, Chinese and Ladakhi Cuisine. 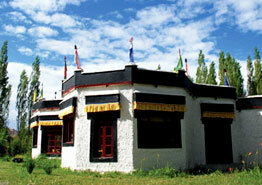 Enjoy the surroundings while relishing your food.